Simon Anthony McDonagh (34) of Clogher and John Stephen McDonagh (24) from Belfast appeared at Enniskillen Magistrates Court on Monday. TWO MEN have been sent forward to the Crown Court on a series of burglary and theft charges at various locations around Fermanagh. Simon Anthony McDonagh (34) of Main Street, Clogher, who faces 11 charges, and John Stephen McDonagh (24) of Roseville House, Rossmore Drive, Belfast, who faces two charges, appeared at Enniskillen Magistrates Court on Monday for a preliminary enquiry (PE). Simon McDonagh is charged with five counts of burglary with intent to steal, two counts of theft, three counts of burglary, and one count of using a fraudulent registration mark. He also faces charges of driving without insurance or a licence. The charges against McDonagh relate to a number of alleged burglaries and thefts in Fermanagh and beyond. They include a charge of stealing alloy wheels worth £1,352 from Darren McCusker on June 7 and stealing a jacket worth £110 from Trespass in Enniskillen on June 2. 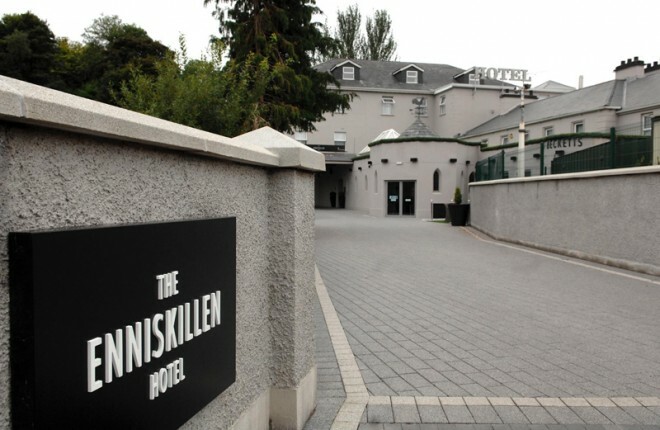 Other charges include entering Castle Hume Golf Club as a trespasser and stealing around £200 in cash on June 11; entering the Belmore Court Hotel, the Westville Hotel and the Lough Erne Golf Resort on June 12 with the intent to steal; and a charge of entering the Enniskillen Hotel on May 31 and stealing £150 in cash. John McDonagh is charged with two counts of burglary, namely at the Enniskillen Hotel on May 31, where he is charged with entering and stealing £150 in cash, and at the Bushtown Hotel in Coleraine on June 10, where he allegedly stole £300. A third co-defendant, Louise McDonagh (23) of Linenhall Street in Armagh, was not present in court of the committal. She two faces a number of theft and burglary charges. On Monday the charges were read to the two men, and a spokesman for the Public Prosecution Service said from the evidence they believed the men had a case to answer. District Judge Nigel Broderick said he was satisfied the McDonaghs had a prima facie case to answer, and adjourned the matter to Dungannon Crown Court on November 28.